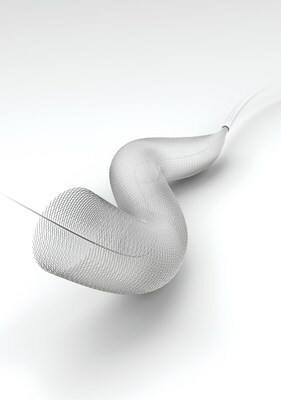 KALAMAZOO, Michigan, USA, April 15, 2019 /PRNewswire/ -- Stryker announces the availability of the Surpass Evolve Flow Diverter following CE mark approval in March. Surpass Evolve is Stryker's latest entrant into the flow diversion space for the treatment of brain aneurysms. Building on the reliable opening and optimal flow diversion profile of the existing Surpass platform, this new device has been designed to maximize overall procedural ease of use and provide physicians with a high level of control through the procedure. "The Surpass Evolve Flow Diverter is the culmination of many years of flow diversion research, extensive physician feedback from around the world and Stryker engineering prowess. This high performing device will be a great addition to our hemorrhagic portfolio to help physicians in the treatment of brain aneurysms," said Mark Paul, President, Stryker's Neurovascular Division.